Iona Cannabis Clinic has a lot of happy patients. These patients who not too long ago suffered from major depressive disorders and anxiety are now seeing markedly improved outcomes in relatively short time frames. Although medical professionals are still discovering new reasons for depression and anxiety to this day, we know that a tiny portion in the brain called the amygdala, stores emotional and threatening thoughts and memories from our early childhood to present day. There are neurotransmitters throughout the entire body that send signals to the brain, alerting you instantaneously of real or perceived danger. Anxiety is made up of both psychological and physical symptoms. The psychological part creates the nervousness, fear and worry, while the physical aspect produces sweating, rapid heart palpitations, a rise in blood pressure, nausea and shortness of breath. When anxiety disorders are left untreated or undertreated, several areas of the brain like the hippocampus (regulates emotions) and the prefrontal cortex (decision making, planning abilities) shrink causing long-term damage. The stark reality is that the “standard of care” treatment for anxiety often falls short. When these therapies disappoint, patients need alternatives for their brain and bodily health, cognition and long-term ability to function and experience calm. The standard care is behavioral therapy, counseling, and anti-anxiety medications. The problem is treatment is often just not enough due to the brain’s complexities, and anti-anxiety meds are addictive. The other issue with standard medications is that they more often than not, become ineffective and are unable to reverse feelings of severe depression. This is called treatment-resistant depression. Along with multiple disease states and disorders, Medical Marijuana (MM) is approved for PTSD, Depression, and Anxiety. Medical Marijuana is proving to be an effective treatment for anxiety, stress and depressive states given its ability to calm the body and mind by binding to the cannabinoid receptors. There are even studies that indicate it’s long-term effectiveness in repairing the brain cells and effects that cause anxiety. Our brain and nerve cells have cannabinoid receptors, so our bodies naturally react to cannabis (medical marijuana). The structure of cannabis interacts directly with our cells. Our natural endocannabinoid system works synergistically with medical marijuana, creating a multitude of beneficial reactions in the body. The endocannabinoid cells have tiny receptors that take in chemicals and produce responses. This natural system in our bodies regulates things like mood, sleeping, immunity, pleasure, memory and much more. Medical marijuana is made up of THC CBD and terpenes. The CBD is known to bind to receptors and is thought to regenerate cells and brain function, while THC helps to relax and alleviate the physical symptoms of apprehension. Terpenes give marijuana the green, healthy healing properties that are extracted from the leaf of the plant. There is a collaborative effect between these chemicals when taken together. This synergistic effect means the ratio’s of THC and CBD can be manipulated for the patient’s benefit. Not all of the Certified Medical Marijuana Physicians are as proficient with how the various aspects of the marijuana plant serve the body, nor do they know what dosages are essential for specific disease states, These practices and education is what separates Dr. Sonn apart from others. Dr. Sonn has been studying and working with medical marijuana for years. He reports very effective results for numerous disorders and disease states, including patients with cognitive impairment such as dementia and Alzheimer’s disease. You must visit a Physician that is licensed to recommend medical marijuana. 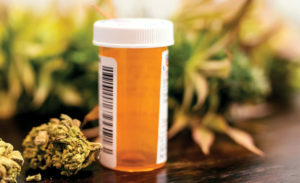 To legally purchase and consume medical marijuana in Florida, the person must have one of the specific qualifying medical conditions regulated by the government or have a medical condition that is deemed as appropriate. Dr. Sonn is exceptionally adept and knowledgeable in this practice, drawing from his vast experience as a Palliative Care physician and Family Practitioner. If you or someone you know would like more information, please visit IonaCannabisClinic.com or call (239) 689-6819. Previous BOTOX® for Overactive Bladder Frustrated with your Overactive Bladder (OAB) medication not working? Do the side effects pose more health risks than benefits?